Sometimes I get stuck in snack ruts. and we all get bored. and you could share your ideas in the comments. 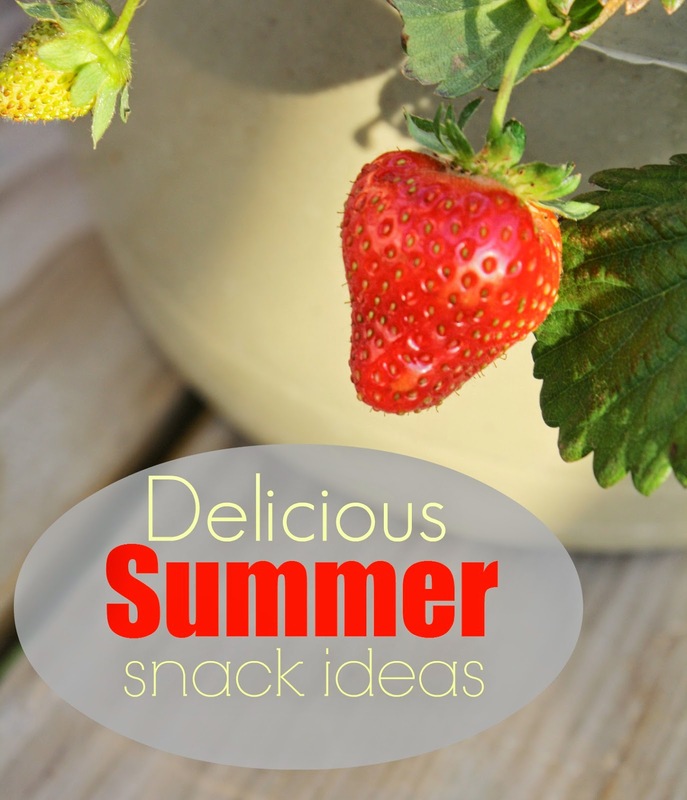 summer is such a great time to enjoy fresh fruit as snacks. There is a lot that is in season, and that makes it more cost effective and tasty! Watermelon, strawberries, peaches, blueberries, etc. My kids can down an entire carton of strawberries in nothing flat. Then, they tend to be hungry before the next mealtime. That is where the granola comes in to play. It helps satisfy them with good nutrients, and it tides them over until it's time to eat. I chop the strawberries and let them juice up for about 10 minutes. Then, I mix in some granola and let that sit for 3-5 minutes to soften up in the strawberry juice. The kids love this snack and they eat it up like candy. Bananas are a cheap fruit. so that saves you money and makes for a cheap treat. In the winter, I don't freeze these. so it is saved for a summer snack. (make sure the cookie sheet fits in your freezer). Let age appropriate kids use toothpicks to stab the bananas and eat. I usually let them thaw a little for younger kiddos. prepackaged frozen fruit, fresh bananas, peaches, strawberries, etc. and it is so healthy for them! I chop up some fruit, place in a ziploc, and freeze. If you have fruit that is looking a little sad, this is a great way to use it up! Pull it out about 5 minutes before you want to use it. 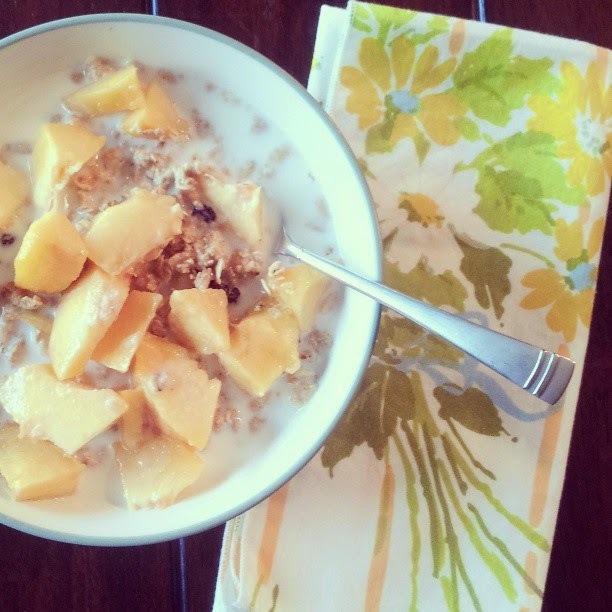 Place fruit in a food processor (or blender). Add a TBSP, or two, of milk. Add a drizzle of honey for sweetness. Add vanilla if you wish. Process the ingredients (or blend them) until smooth and creamy.